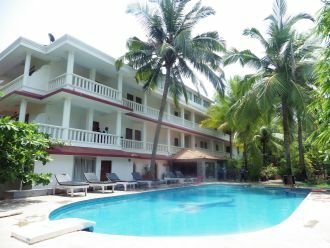 Offering an easy access to the famous Calangute beach, the Kristal Sands Beach Resort is located off the Candolim Road. There are a total of 22 well furnished rooms with balcony and an elegant multi-cuisine restaurant. Guests can take a refreshing dip in the swimming pool or have a cool drink at the pool side bar. There is also a health spa and a gymnasium for rejuvenation. The property is in close proximity to popular restaurants like Tito's and Little Italy, making it an ideal place to stay.